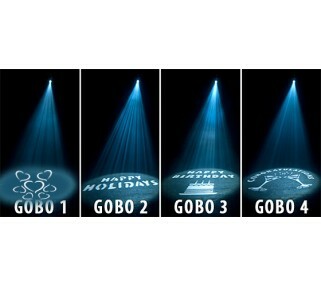 This Gobo light is a bright 60 Watts and is an easy and affordable option for projecting any image on a wall or floor. 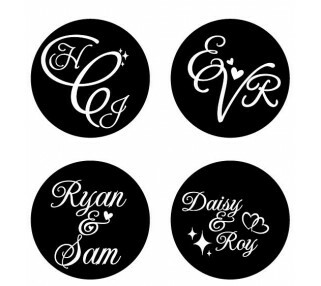 It is a wedding favorite for monograms, names or images. 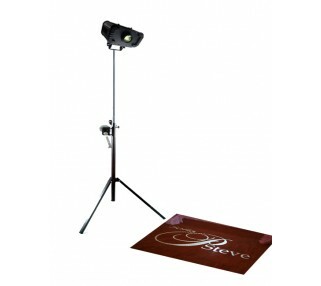 At only 8 lbs, this LED GOBO easily attached to the included tripod stand that cranks to 9'9" tall! Rotation and brightness are easily controlled. Avista has 4 standard patterns: Hearts, Congratulations, Happy Birthday and Happy Holidays. 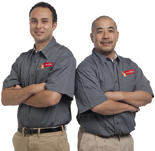 We can provide info on how to order any custom design as well. Customer GOBO designs start about $50. How it works: White light shines though a pattern to display a large image 10 - 20 feet away. Black and white or color images can be accomodated. Call Avista for more details on renting a GOBO light for your event. Please allow at least one week for custom design GOBO orders.